A U.S.-European astronaut duo is set for a busy spacewalk outside the International Space Station on Friday to continue outfitting the station with new batteries – a complex task split between the station’s robots and spacewalking crew members to give ISS a pair of revamped power channels driven by Li-Ion battery technology. 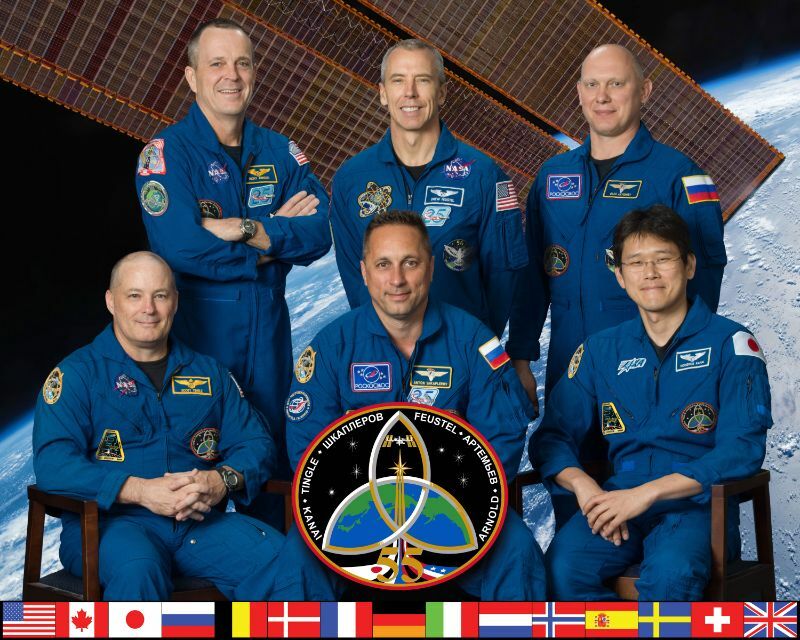 ISS relies on eight groups of batteries to deliver power to its electrical channels during periods of orbital night, on average 35 minutes per lap around Earth. 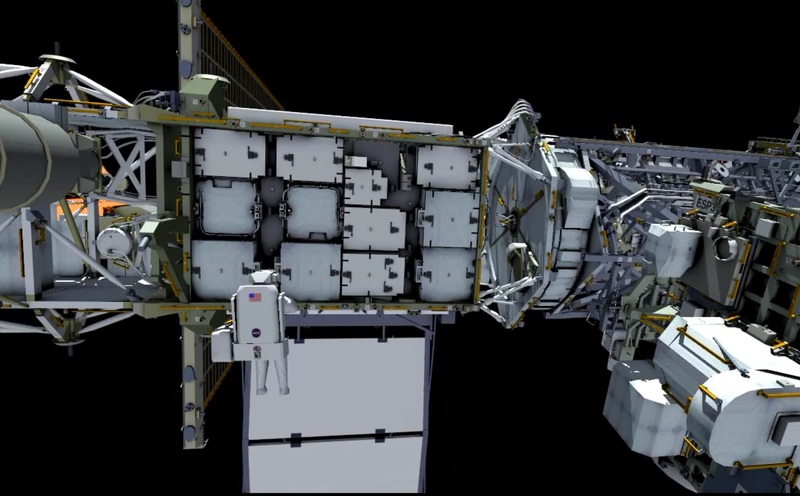 Most of the batteries have been in use ever since being launched with the Station’s truss segments and have already exceeded their original service life – requiring replacement to enable ISS to head into its last decade of operations at full steam. NASA decided to use the replacement to switch from older Nickel-Hydrogen battery technology to state of the art Li-Ion batteries, now standard in spaceflight applications. 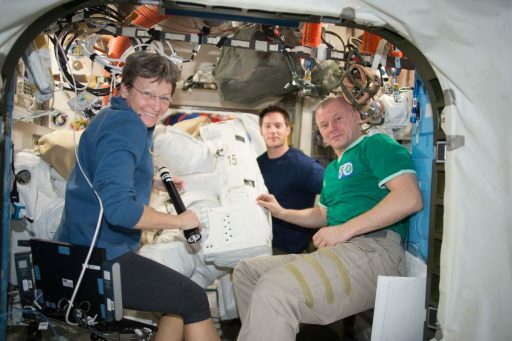 The battery replacement began back on New Year’s Eve with five days of robotic operations ahead of last week’s successful spacewalk by Shane Kimbrough and Peggy Whitson who put in place adapter plates to connect the new batteries to power channel 3A. The station’s robots were in action again this week, replacing old Nickel-Hydrogen batteries in the 1A power channel to set up for Friday’s spacewalk that will integrate the new Li-Ion batteries with the power conditioning equipment out on the Station’s starboard truss segment. 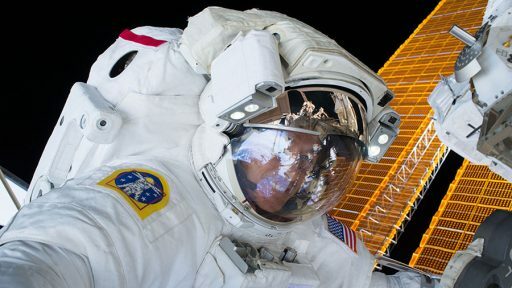 Reprising his role as lead spacewalker, Shane Kimbrough will be joined on Friday by ESA Astronaut Thomas Pesquet who will be performing his first spacewalk. 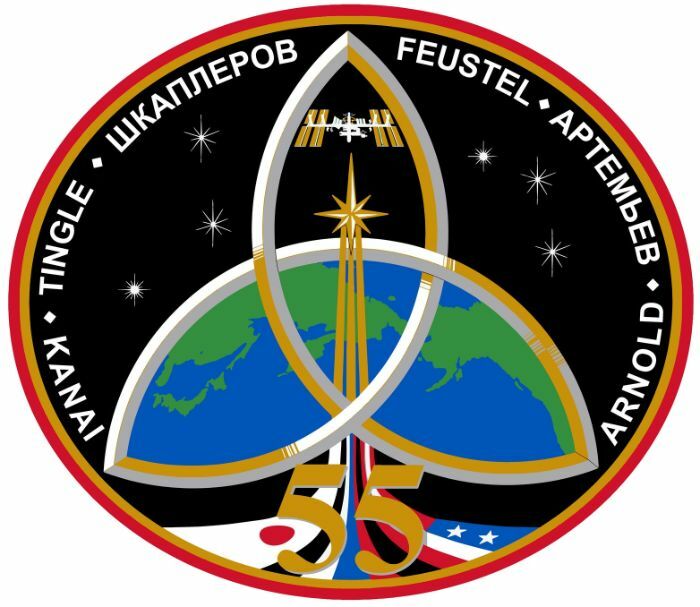 The two are set to venture outside the Quest Airlock at 12:05 UTC for a six-and-a-half-hour excursion primarily dedicated to the battery work with some time budgeted for get ahead tasks toward the end of the EVA. As with last week’s spacewalk, the focus of attention will be the Integrated Equipment Assembly (IEA) on the S4 Truss Segment of the International Space Station – a structure that holds one of the Station’s four iconic solar array wings as well as power conditioning and storage equipment, including the batteries. Each side of the IEA hosts power equipment for one of the Station’s eight power channels – Power Channel 3A was re-fitted with new Li-Ion batteries last week, marking the first power channel to switch from the antiquated Ni-H batteries to the higher-capacity Li-Ion units. 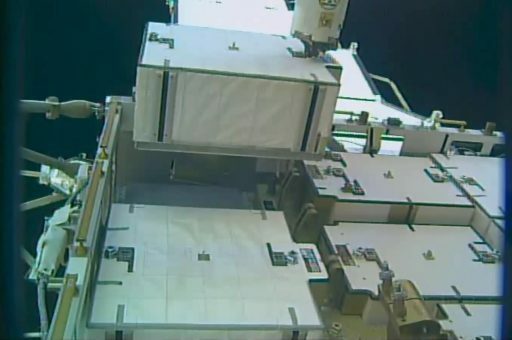 The battery replacement has been a complex shell game of sorts with the Station’s robots moving old batteries from the IEA to the HTV Exposed Pallet that delivered six new Li-Ion ORUs and will take nine spent batteries to a fiery re-entry for disposal. Because the capacity of one Li-Ion battery replaces two Ni-H batteries that were connected in series, Adapter Plates have to be put in place to connect the new batteries to the Station’s power architecture. Following last week’s battery replacement, Power Channel 3A underwent a detailed checkout before Mission Controllers transferred its usual loads that had been carried by the 3B channel during the replacement back to the power channel. The new Li-Ion batteries have been showing excellent performance within the Station’s power grid, though some minor software tweaks have been identified by teams to optimize the new system. With the first Li-Ion-fed power channel showing solid performance, teams moved on to the 1A channel for basically a repeat of the procedure executed for 3A – using Canadarm2 and the Dextre robot to remove the old Ni-H batteries and put the new Li-Ion Orbital Replacement Units (ORUs) in place before a spacewalk by the crew to install adapter plates and hook up data cables to finish integrating the new batteries. Operations picked up on Sunday when the 1A batteries were drained and loads from the power channel were seamlessly transferred to the 1B channel. 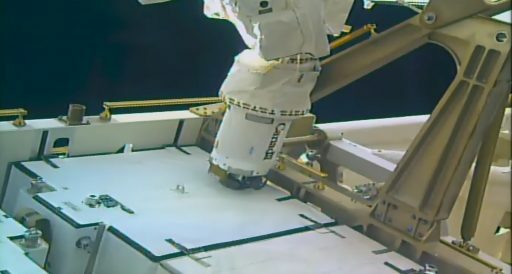 Robotics kicked off with the two-armed Dextre robot removing old Ni-H batteries from Slots 5 & 6 and installing them in Slots A and B on the HTV Exposed Pallet. 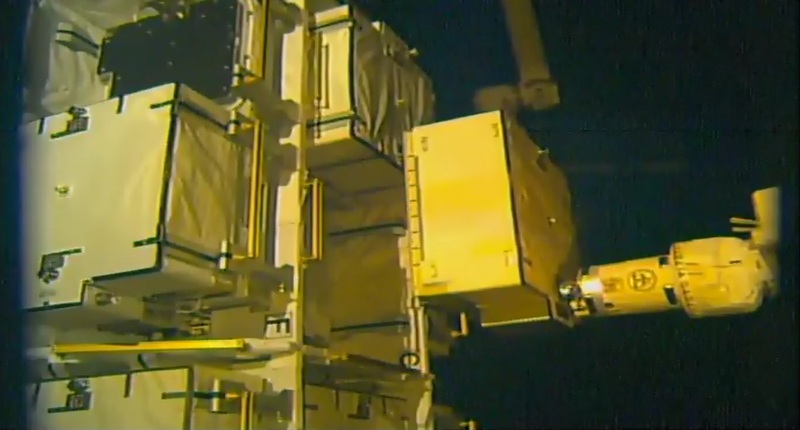 On Monday, Dextre transferred a Li-Ion battery from Slot E of the Exposed Pallet to the IEA for installation in Slot 5 – an activity that took longer than expected due to a video inspection conducted on the underside of the battery after a slight issue when retrieving it. 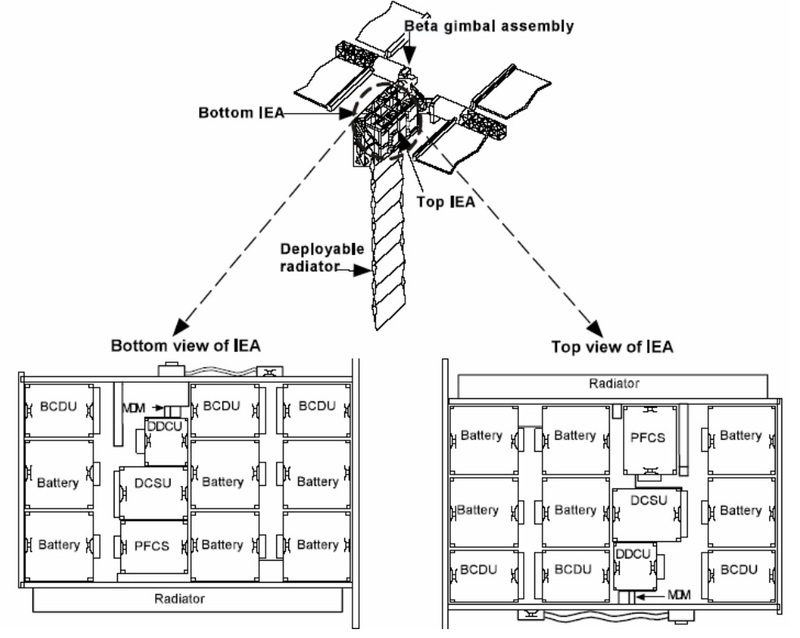 Back at the IEA, the new battery was installed without trouble and Dextre unbolted the Slot 1 Ni-H battery for transfer to Slot C on the HTV Pallet. 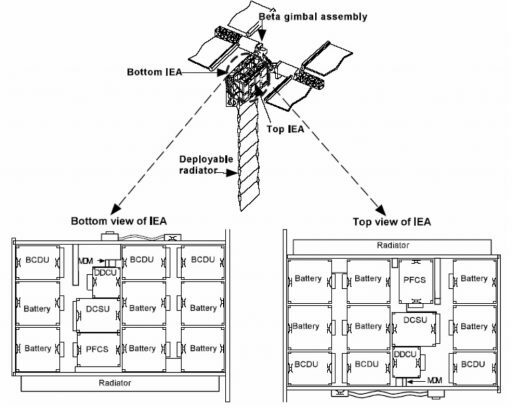 To wrap up for the night, Dextre moved the Slot D battery from the EP over to Slot 1 of the IEA – again working over time as two attempts to properly seat the battery in the correct position were required. 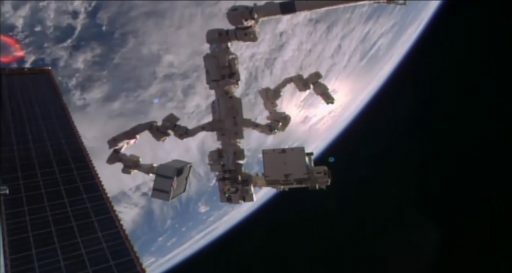 Tuesday’s robotics activity started with Dextre using Arm1 to remove the Slot 3 Ni-H battery from the IEA and, back at the Exposed Pallet, unstow the Slot F Li-Ion battery with Arm2. This battery, the last Li-Ion battery of this batch, was successfully installed in IEA Slot 3 and Dextre then went on to use its Robotic Offset Tool (ROST) to begin driving the secondary bolts of the three new Li-Ion batteries on the IEA to finish their structural installation. The ROST socket could not engage the H1 bolt on the Slot 5 battery and the Slot 1 battery also caused trouble. Although its bolt was driven without issue, ROST remained stuck to the fixtures despite higher-than-normal forces being used by ROBO controllers. It took several hours for teams to release the tool by slightly unfastening the ROST socket, freeing Dextre for the final battery removal task. 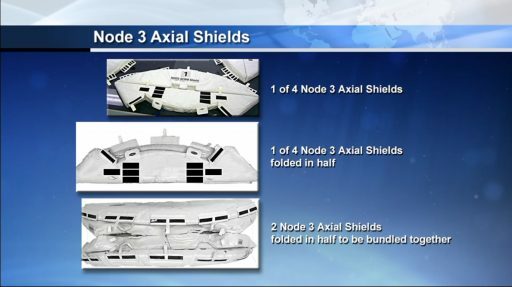 On the IEA, Slots 1, 3 & 5 are occupied by new Li-Ion batteries, Slots 2 & 6 are empty and Slot 4 still holds an old Ni-H battery which the spacewalkers will install on one of the adapter plates to be put in place during EVA-39. On the HTV Exposed Pallet, Slots A, B, C, X, Y, Z are all occupied by removed Ni-H batteries and Slots D, E & F hold the Adapter Plates to be installed on Friday. Dextre is busy holding onto a pair of Ni-H batteries with both of its arms and a third is temp-stowed on a platform known as the EOTP. 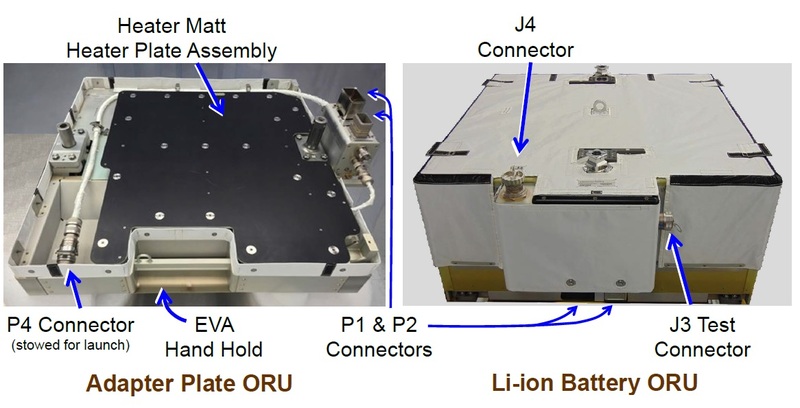 The goal for Friday’s EVA is to install three Adapter Plates in the 1A IEA Slots not occupied by Li-Ion ORUs, and in the process move one Ni-H battery atop one of the adapters to be available as spare. EVA-39 is slightly less complex than last week’s excursion because one less battery move is required by the crew – freeing up some time for potential get-ahead tasks. 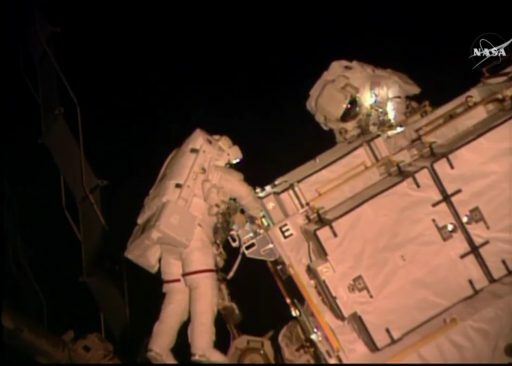 Venturing outside the Quest Airlock after multiple hours of EVA preparations, Shane Kimbrough and Thomas Pesquet will part ways with Kimbrough headed out to the 1A IEA where he will set up shop while Pesquet climbs onto the HTV Exposed Pallet. There, he will use a ratchet wrench to break torque on the two structural bolts holding each of the three adapter plates in place. Once he temp-stowed a tool bag and installed a foot restraint, Kimbrough will join Pesquet on the EP to remove Adapter Plates E & F by using the Pistol Grip Tool to fully release the adapter plate bolts. With the Adapter Plates secured to their tethers, the crew will move over to the IEA for the installation of the plates. Each 104 x 91 x 38 centimeters in size, weighing 39kg, the Adapter Plates are needed because one Li-Ion battery replaces a string of two Ni-H batteries that were connected in series to interface with a Battery Charge/Discharge Unit (BCDU). The adapters essentially mimic another battery to bridge power & data connectivity from the BCDU over to the lone battery. Each adapter plate has two blind-mate electrical connectors that automatically engage when being installed and one data link cable that has to be plugged into the Li-Ion battery by the crew. First up is Adapter Plate F that goes into Slot 6 of the IEA – to be installed via two bolts, the primary H2 bolt and the secondary H1 bolt, to be driven by the crew. Next, the spacewalkers will mate the P4 data jumper to the Slot 5 battery to fully integrate that battery. Afterwards, the spacewalkers will unbolt the lone Ni-H battery left on the IEA from Slot 4 and relocate it to the Adapter Plate in Slot 6 via driving the two structural bolts. Adapter Plate E will be installed in Slot 4 and hooked up to the Slot 3 battery to achieve the minimum operational configuration of the 1A power channel with two good Li-Ion batteries – representing the minimal objective of Friday’s EVA. The crew will then move back over to the Exposed Pallet to fetch the last Adapter Plate (D) set for installation in Slot 2 of the IEA to interface with the Slot 1 battery and give the Station two fully outfitted Li-Ion-driven power channels. As a last task at the IEA, the crew will take care of the H2 bolts on the Slot 1 & 5 batteries which Dextre had trouble driving earlier in the week. After cleanup of the S4 work site, the EVA clock should stand at PET+5 hours – giving the team one hour for some get ahead work. Last week, Kimbrough and Whitson managed to complete three get ahead tasks, but there are still a number of activities in the Station’s ‘job jar,’ left over from previous EVAs. The prime get ahead task lined up for EVA-39 is replacing a failed Camera/Light Pan/Tilt Assembly on the Mobile Transporter Relay Assembly will would then be robotically installed on Canadarm2. 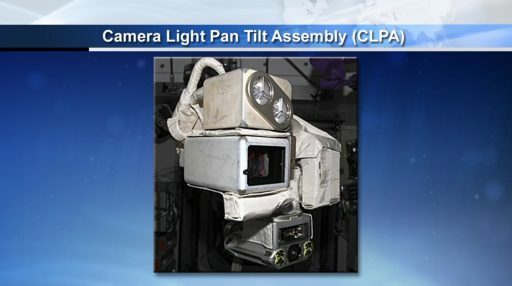 The failed CLPA was pre-staged by Canadarm2 some time ago and teams wanted to get a new camera outside for some time to fully restore the arm’s vision when conducting robotic tasks. 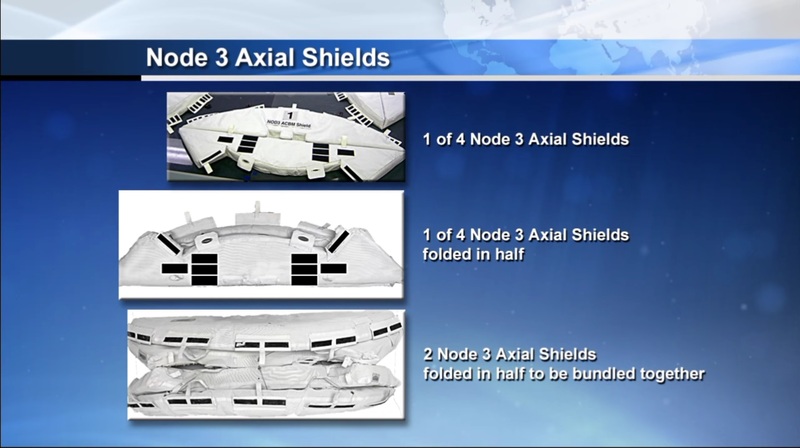 Another relatively quick get-ahead task is moving a large bundle of protective shields out of the Airlock and stowing it outside the Space Station to be available for a future EVA that will place the shields over the Common Berthing Mechanism of the Node 3 module once Pressurized Mating Adapter 3 moves to its new location on Node 2. Because the bundles are rather large, teams want to stage them outside on an EVA with spare room in the airlock as opposed to cramming them into the airlock on an EVA involving lots of equipment. When all tasks are complete, Kimbrough and Pesquet will return to the Quest airlock for a standard inventory of tools prior to ingress and airlock repressurization. 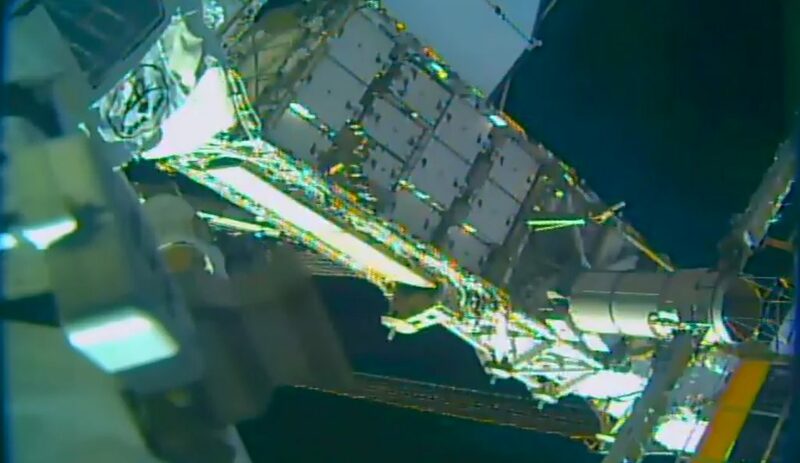 The battery work will not quite be finished after Friday’s EVA as Dextre will be busy again next week to install the three Ni-H batteries it is currently holding in the three slots on the HTV Exposed Pallet that are to be freed up during the spacewalk. Canadarm2 will then pick up the EP and move it back into the Unpressurized Logistics Carrier of the HTV-6 spacecraft which is set to depart ISS at the end of the month for a week-long free flight prior to a targeted destructive re-entry.